To purchase any of the books in this post and help me buy more books, click the link above! Drawn from Gaiman’s trove of published speeches, poems, and creative manifestos, Art Matters is an embodiment of this remarkable multi-media artist’s vision—an exploration of how reading, imagining, and creating can transform the world and our lives. 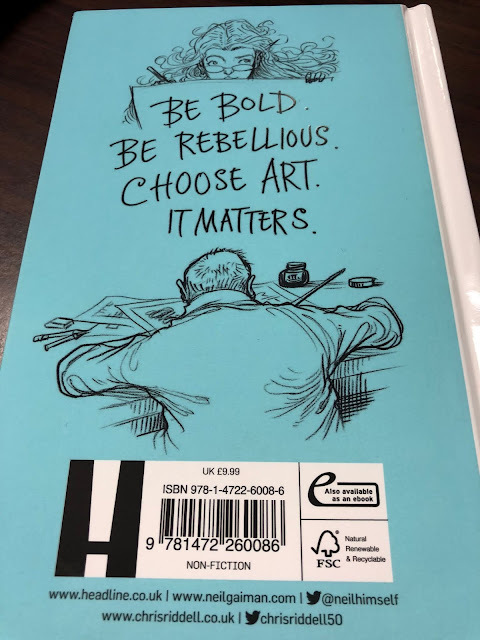 Featuring original illustrations by Gaiman’s longtime illustrator, Chris Riddell, Art Matters is a stirring testament to the freedom of ideas that inspires us to make art in the face of adversity, and dares us to choose to be bold. The best review I can give this book is to just read it, absorb it, live it, read it again.